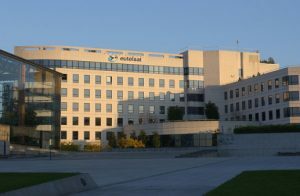 Eutelsat has issued seven-year senior unsecured bonds for a total of €800 million, taking advantage of what it termed as a “current competitive market” for raising long-term financing. The bonds will be issued at 99.4% and will be redeemed at 100% per cent of their principal amount when they mature on October 2, 2025. “The Bonds will enable Eutelsat to redeem at maturity the outstanding bonds issued on 14 December 2011 for a total principal amount of €800 million, bearing interest on its principal amount at a fixed rate of 5.0% per annum and due January 2019,” said Eutelsat in a statement. The transaction is expected to maximise Eutelsat’s free-cash-flow and reduce pre-tax cash interest by some €24 million on an annualised basis from full year 2019-20. It will also allow Eutelsat to extend its debt maturity profile.